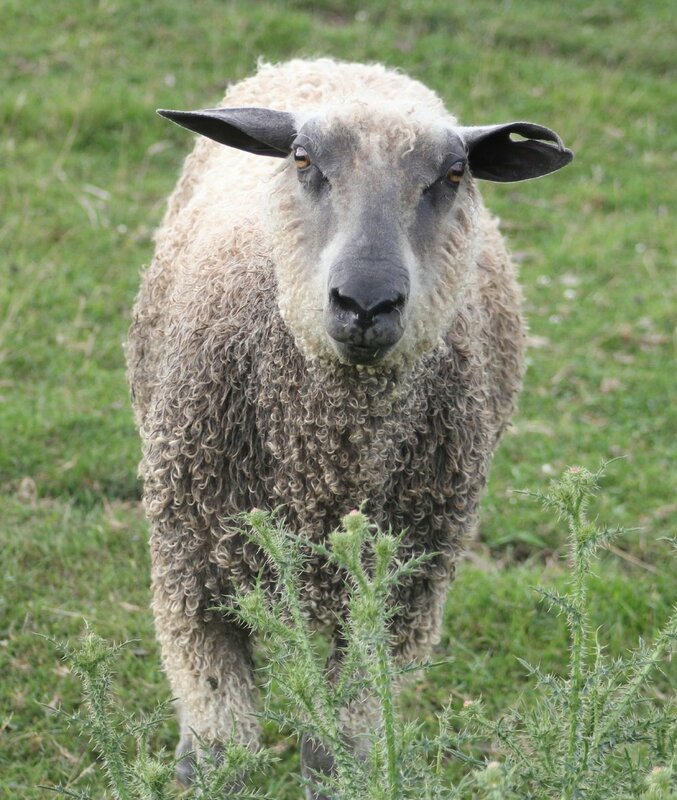 This sweet sheep is Sheldon, a white Wensleydale sheep we adopted from the famous McNair flock! He and his twin Moon Pie's mom passed away after she had them. Of course Ruth did not have to twist my arm so I would take them in right? ha! 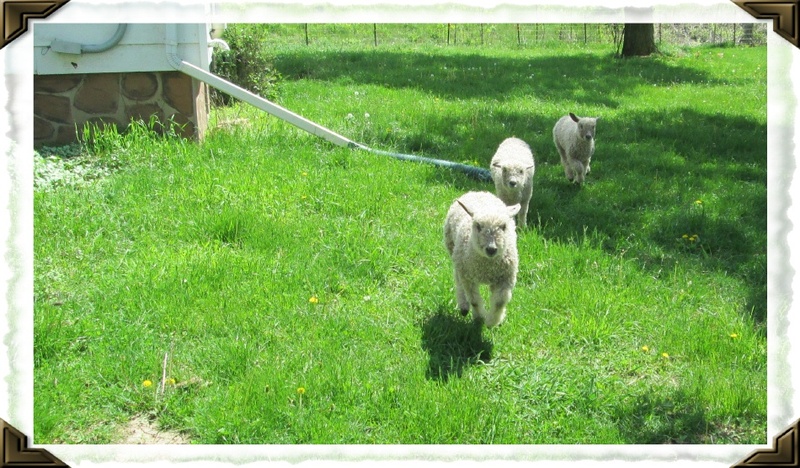 Sheldon is a silly, clumsy sheep who really is happy happy! Always wondering who is having more fun some place other than where he is. His fleece is soft as silk and the locks from his first ever fleece were almost 12 inches long. GiddyUP Shelly Bean! Sheldon is very much his silly self. A big happy lug hanging around with his sister Moon Pie and girlfriend Collette. His fleece is as gorgeous as ever and he really couldn't be a much better sheep. Well, except on shearing day! That is the one day a year he absolutely hates. And unfortunately, keeping control of him is not my idea of fun either. We only have one Wensleydale sheep who behaves himself on shearing day. It is NOT Sheldon. He throws himself over backwards, runs into walls, runs us into walls, runs over us-- all to avoid being caught. Much less sheared. Really? AND he was a bottle lamb so should be quite tame at all times. Harumph! We have a wonderful shearer and Ryan is very patient with the sheep. And once Sheldon is handed over to Ryan, all silliness stops. Like ok, gotta get my haircut now. Yup Yup. What a silly sheep! Bronco? hahaha! "I don't know WHAT you are talking about!"